I have to admit, I still love a great cartoon. (Especially on those really boring days, when there is absolutely nothing on television.) I am also an aunt of six, so both my television and movie outings are always bombarded with cartoons based films. Therefore, I choose to check out the websites of both Disney and DreamWorks. This way, I could both research and find movies that I can buy for Christmas. I was excited to see how interactive both websites were. Disney does a great job at with their website. I enjoyed watching the video clips of Disney movies I had not seen in a long time. Watching these made me actually want to order Disney films for my own movie collection. They definitely sold me on going to see their up and coming films. 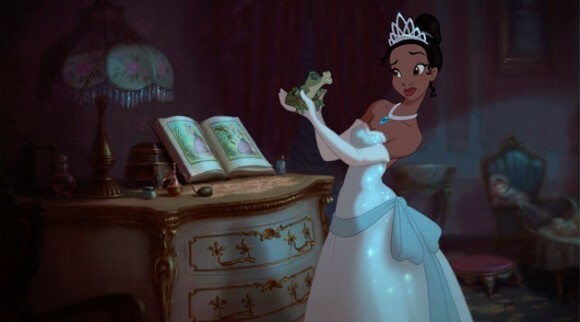 “The Princess and the Frog” is the first black princess story by Disney. I also look forward to seeing the new 3D make of “Alice in Wonderland” starring the ever so handsome Johnny Depp. DreamWorks animation does a great job with their graphics. This site uses more of a flash based design within their marketing concept. Each film has a lead character represented and brought to life by making them 3D. For example they made the character of Shrek look as if he was going to jump out of the screen at you. Using the graphic skill of flash is always good for sites that will be accessed by children. In terms of structure both sites were similar. They used interactive user friendly tools. Also, they both included the corporate color of blue for the layout.